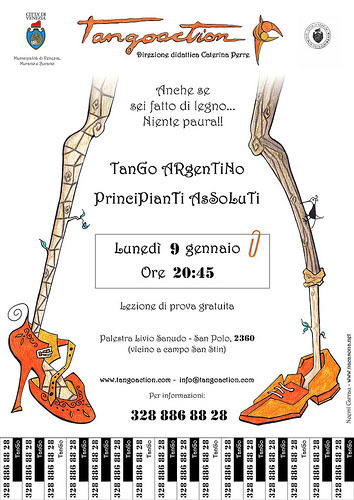 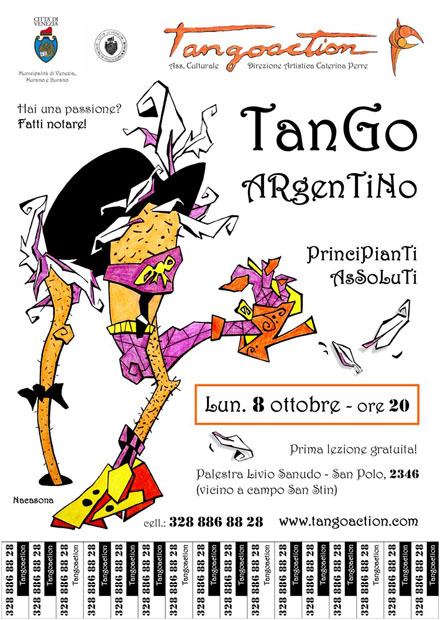 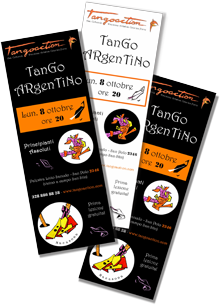 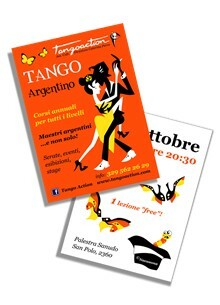 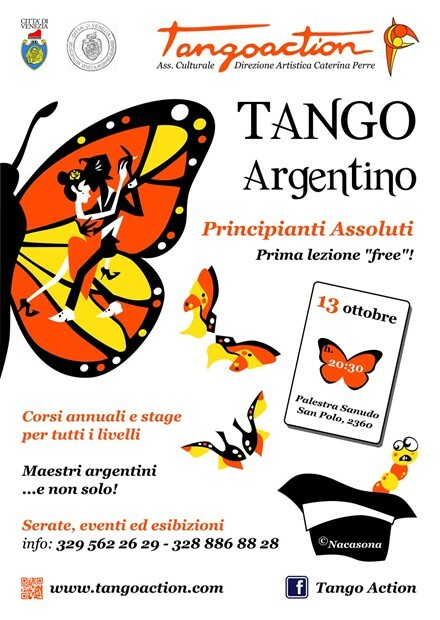 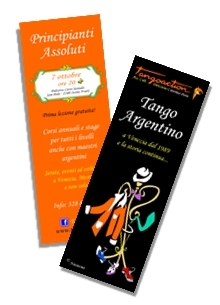 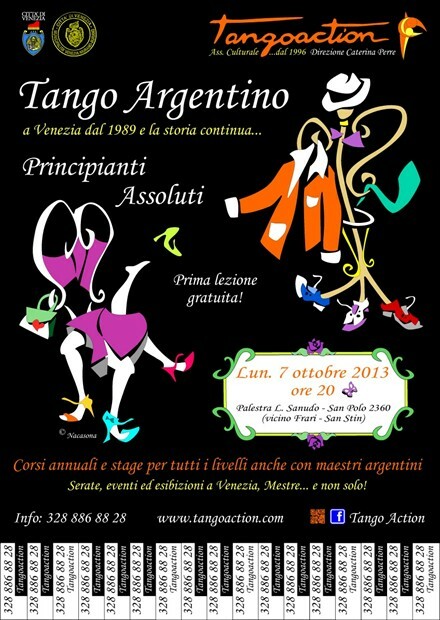 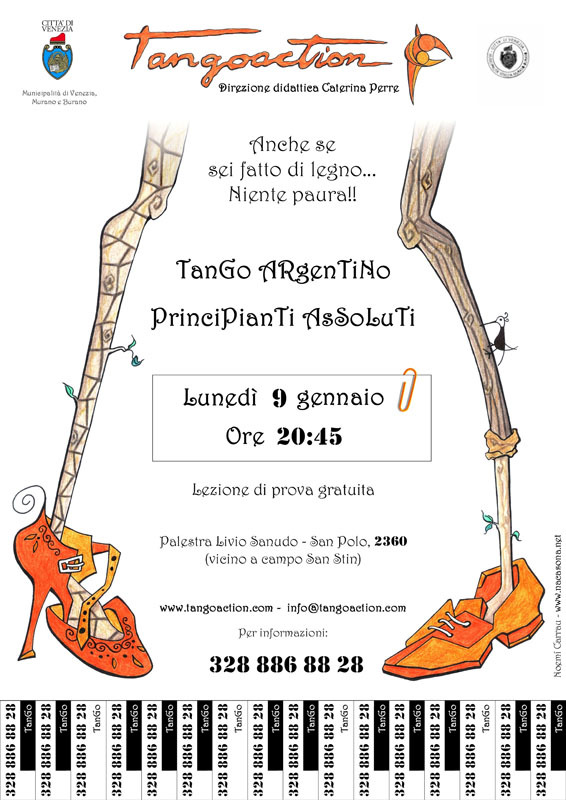 On the right, you can see a poster illustrated by her for the tango lessons of the school Tango Action in Venice: "Even if you are made ​​of wood ... Don't worry!!" 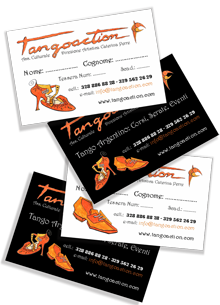 "Do you have a passion? 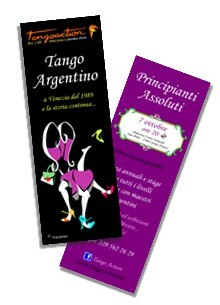 Get noticed!" 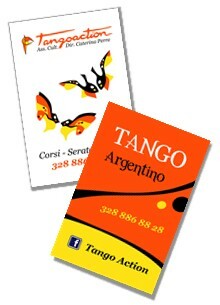 Tangomorphosis: from worm to butterfly!